We're big fans of Willow Smith here at For Harriet. For years, the teen has been making her mark as a spirited, intelligent Carefree Black Girl who's not afraid to dance to the beat of her own drum. In a world that is constantly trying to dim—if not straight-up extinguish—the shine of Black girls and women everywhere, we love that Willow is determined to be her authentic self and create music that represents that. Her new song, "WEEPINGWILOUGH/LETSGOTOMECCA," available through SoundCloud, is everything we've come to expect from the lovely chanteuse. The track is a collaboration with friend and fellow talented young music artist, Crystal Mec. It features a mid-tempo electronic beat with layered, soulful lyrics about spirituality and nature. Talk about #BlackGirlExcellence! Simply put: It's beautiful and we're digging it. Check out the track below! What do you think? 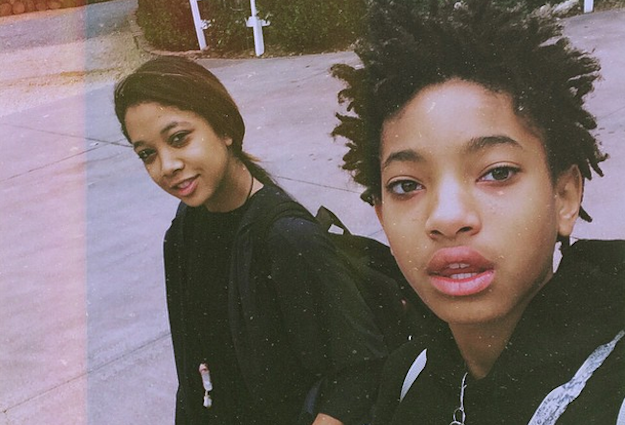 Are you fans of Willow and Crystal Mec? Michelle Denise Jackson is a writer, storyteller, performer, and Senior Editor at For Harriet. You can follow her on Twitter @MichelleJigga or visit her website, www.michelledenisejackson.com. You may also email her at michelle@forharriet.com.